Grace2Go serves children with autism, ADHD, Epilepsy, Down Syndrome, sensory processing disorder, global development delay, cerebral palsy or any other challenge. Our goal is to bring the love of Christ to all of God’s children, to be Jesus’ “hands and feet in the world”by sharing His love with families for whom a “normal”church service might be a difficulty. To find more services around the state, visit the Grace 2 Go website. 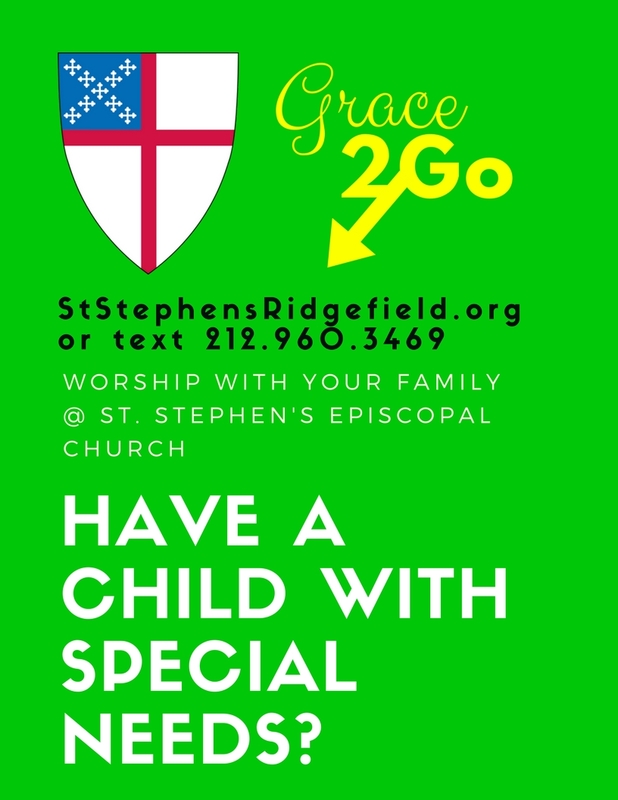 ALL ages and abilities are welcome to worship together. No need to RSVP – just show up! Volunteers from St. Stephen’s Parish, many of whom are parents of special needs children.